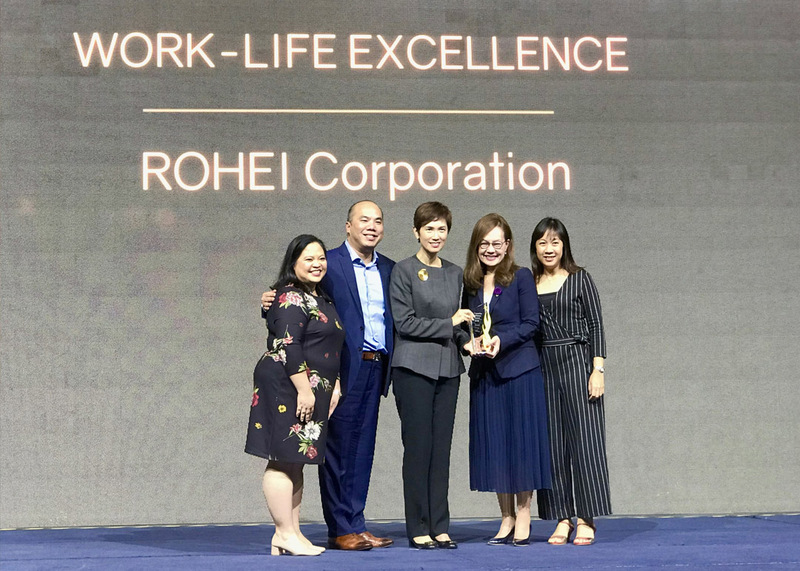 ROHEI received the Work-Life Excellence Award from the Tripartite Alliance for Fair and Progressive Employment Practices (TAFEP) last Wednesday, 14 November 2018 at the awards presentation ceremony at Resorts World, Sentosa. The award was presented by Josephine Teo, Minister, Ministry of Manpower and Second Minister, Ministry of Home Affairs, and received by our team: Rachel Ong, Chief Executive; Eddie Eng, Vice President, Training and Curriculum Design; Sophia Ng, Chief, Strategy & Marketing; and Claribel Abadilla, Director of Operations. Out of 152 organisations nominated, TAFEP Awarded 24 companies. Notably, half of the winners are SMEs, showing the progress Singapore companies have made in pursuing people-centric work practices. “The tripartite alliance award requires all participants to be nominated by their employees and junior representatives, so the employers do not nominate themselves... just being nominated is an achievement in itself”, said Tripartite Alliance Limited Chairman Stephen Lee. “All the winners adopt a people-centric culture….the employees describe themselves as being part of a family that cares and working for bosses who adopt an employee-first philosophy,” said Josephine TEO, Minister, Ministry of Manpower, who delivered the introductory speech before the ceremony. “They invest the time to actively seek the employees’ feedback and also after listening to respond to the feedback appropriately”, Minister Teo continued. Learn how to engage and retain top talent. “ROHEI believes that in order for employees to contribute meaningfully at work they need to have work life harmony. They believe in allowing employees to flourish in their lanes by building a culture of trust and equipping them with the right skills to meet organisational needs.” - TAFEP said at the presentation.